Are You Looking For a New IT Support Firm Because Your Current Vendor Has Experienced High Turnover and You’re No Longer Sure If You Can Trust Them to Care For Your Specialized Healthcare Environment? Healthcare Technology Advisors only serves healthcare practices and HIPAA-covered business associates, giving your hectic practice the stable foundation it needs to grow. HTA is constantly looking out for the best interest of myself and my patients. HTA’s customer service delivery is highlighted by the personal attention and the ability to get in contact with someone VERY quickly to resolve any issues or questions that arise. The HTA team takes a personal vested interest in my work and cares about my success almost as much as I do! We’ll operate as your IT department with a predictable budget, reporting, and strategic business planning that helps you grow. With this service we put our resources and expertise to use to ease the burden on your IT department by making sure all of the most vital parts of your network are updated and secure. 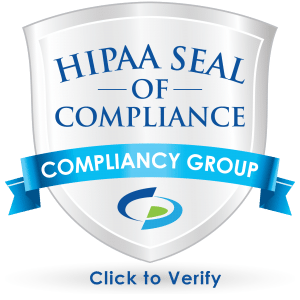 We get you started with the tools you need for a comprehensive HIPAA compliance program, and provide coaching, education, and Security Risk Assessments. Your business can save money and time today with Healthcare Technology Advisors’ managed services, network solutions, IT support and more. If so, we would at least like to send you a copy of our recently published report, What Every Healthcare Mangaer Must Know About Hiring an Honest, Competent, Responsive and Fairly Priced Computer Consultant. Healthcare Technology Advisors, LLC exclusively focuses on healthcare businesses in St. Louis, Cape Girardeau, and the surrounding markets. We take care of our clients’ technology and compliance needs so they can focus on providing excellent care for their patients and clients.